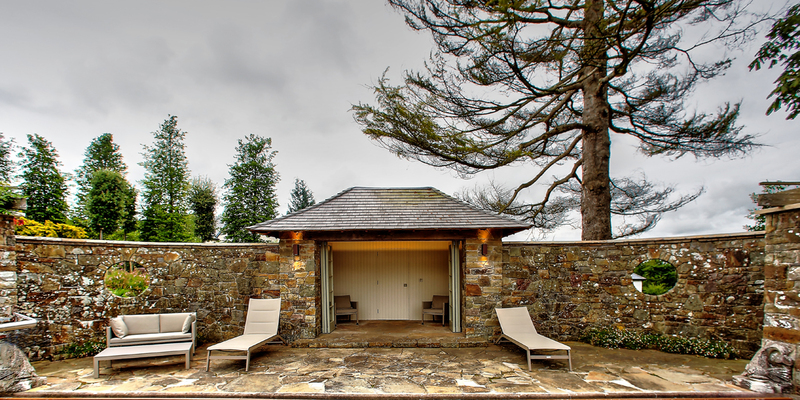 Architect designed Timber truss constructed pool changing room with shower and bathroom. 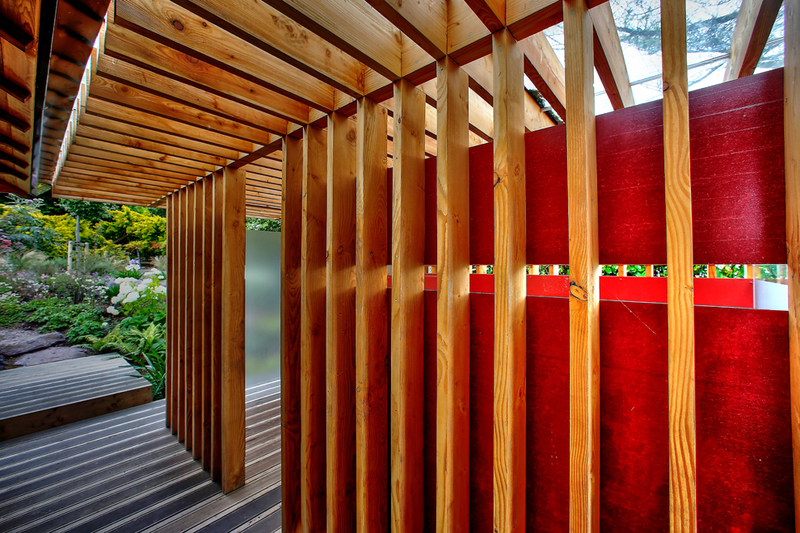 It is made using Larch timber and Cementitious Board panels which will weather nicely allowing it to blend in with the surrounding garden environment. 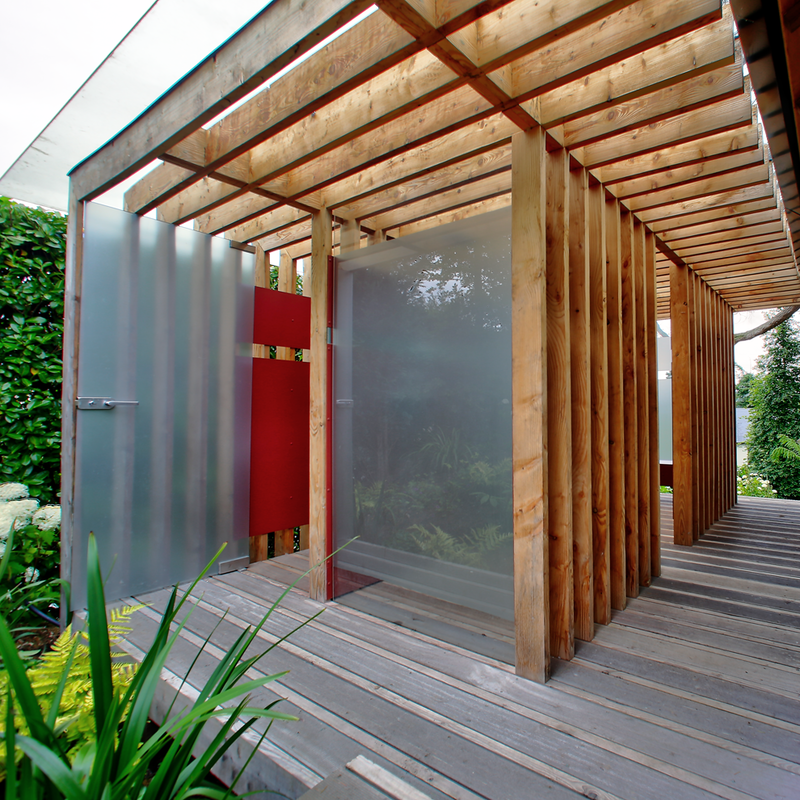 It is of Eco-friendly construction with a glass roof and the structure is tilted at 5 degrees allowing for rainwater to run off, hence the structure can be open to the elements. 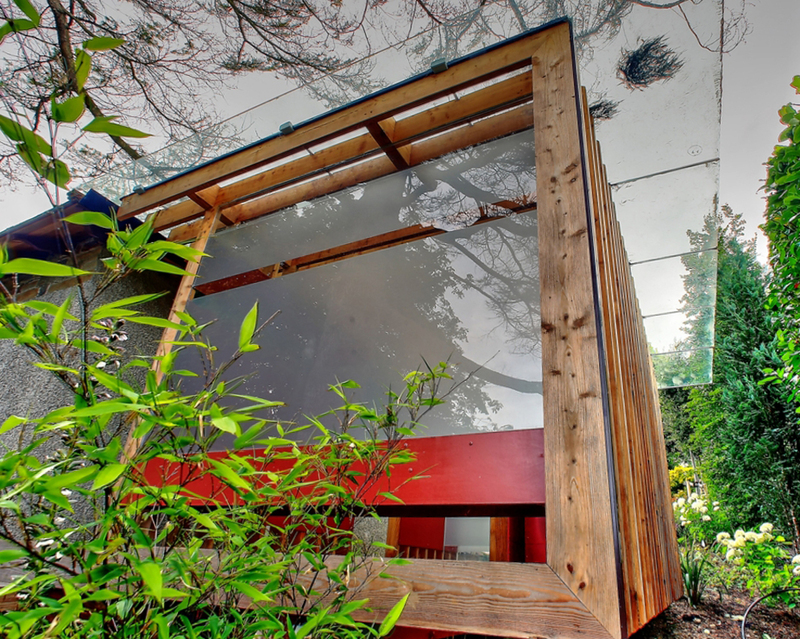 External detail of changing room pod showing overhanging glass roof. 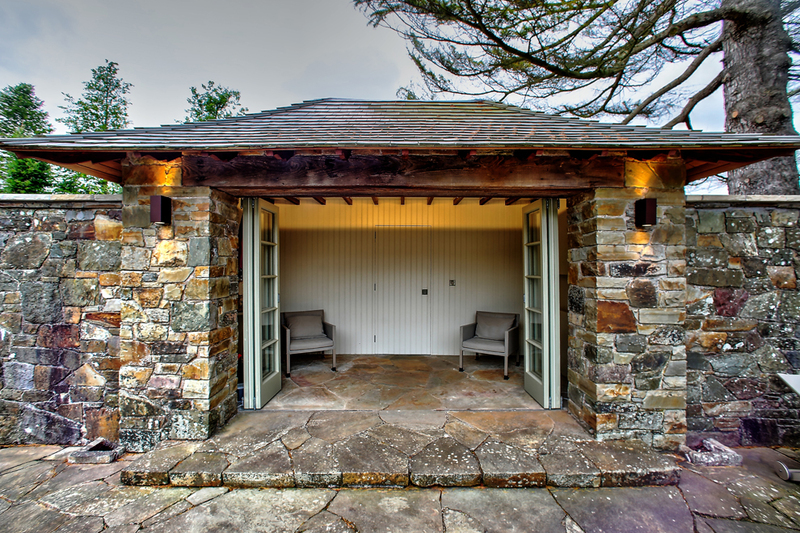 View from the pool towards the covered entrance to the changing room, with new tri-fold doors and new cedar shingled roof. 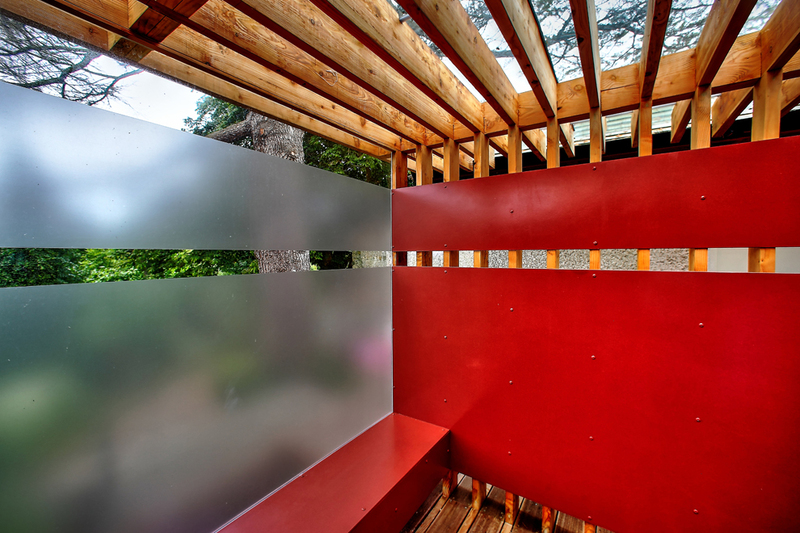 View of changing room showing the use of glass and Cementitious Board also formed to create seating. 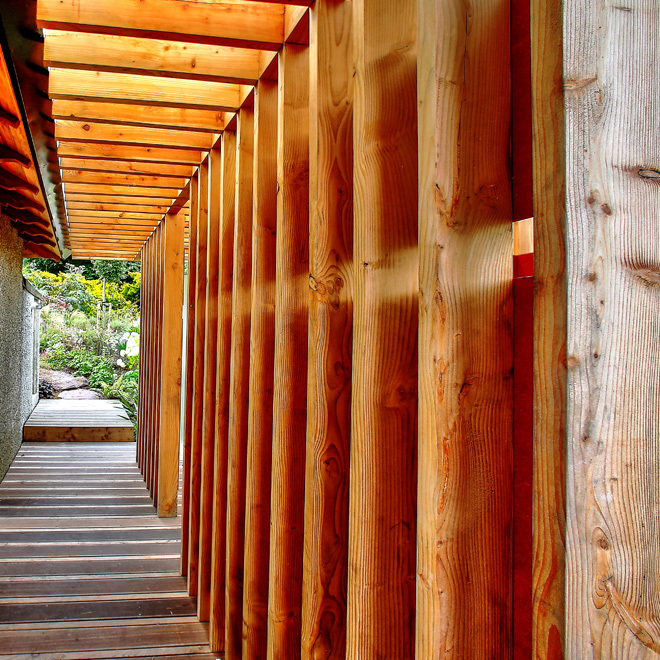 View of the linked walkway with the detail of Larch truss construction. 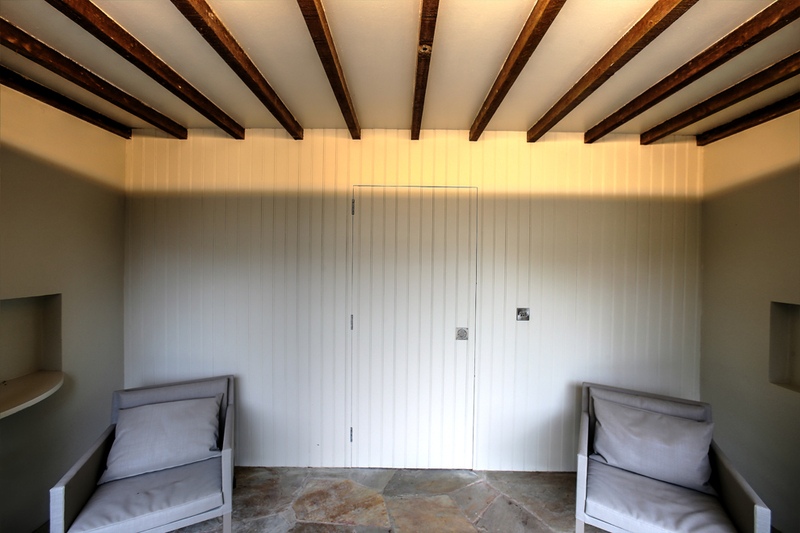 Detailed view of changing room entrance including the timber-panelled wall. Detailed view of timber-panelled wall, note secret door to changing room. The floor is constructed at a 5-degree pitch to ensure no lodging of water in the structure.